Instagram is a great platform for your social media marketing campaigns. And thanks to the powerful Instagram API, developers have extensive control over the app and insights regarding audience behavior. Now, if you are a WordPress, you too can gain access to all these insights and powerful features by installing Instagram plugins on your site. 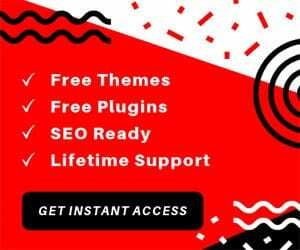 WordPress is blessed with a massive community of talented developers who creates many feature-rich plugins that can take your WordPress website to new heights. For the purpose of this read, we will be looking at some of the best WordPress Instagram plugins which can help you to connect Instagram API to WordPress. We have conveniently divided the list into the best Instagram plugins that come for free or with a premium price tag. But regardless of the pricing, all plugins will give you the basic functionalities, such as the option to embed Instagram feeds onto your website. But if you wish to get your hands on some of the more advanced functionality, then you will have to go premium. Starting off our list, we have Instagram Gallery WordPress plugin. As the name suggests, this WordPress Instagram plugin helps you to display Instagram images on your website. It is super easy to use and offers some handy features. Setting up the plugin is as simple as inserting your Instagram username or tag name. Once you have done that, wait a few seconds, and all your pictures will be up on your website. There is no need to mess around with any convoluted APIs or go through any login procedure. This Instagram plugin for WordPress also gives you the option to display all these images through a Gallery or as a Carousel Slider. The settings panel gives you the freedom to add as many galleries as you wish by using shortcodes. You can also set up an Instagram gallery widget in the widget section. Custom Instagram Feed is a freemium Instagram plugin for WordPress. This means that the plugin is free to use, however, to gain access to some of its advanced features, you will have to buy the pro version. However, the features you get with the free version is also extensive as well. Arguably, one of the best features that you get with plugin would be the option to set up multiple Instagram accounts into a single feed. There are also plenty of customization options to tweak the width, height, and background color of the sections. And that’s not all. You can also change the gallery/feed layout into 2 or 3 columns. There is also an option which allows you to specify how many photos you wish to display. There are plenty more options to tweak the aesthetics of your Instagram feed including a “Follow Us on Instagram” button. Instagram Slider Widget helps you to integrate a responsive slider widget to showcase your Instagram photos or feed onto your WordPress website. You can use this Instagram plugin to showcase up to 12 latest images from any public Instagram account or hashtag. All the images are imported to your WordPress site in the form of WordPress attachments. You also get the option to display the images in Slider or Thumbnails. Some of its more notable features includes the option to link images to user profiles, image URLs, attachment URL, custom URL, and so on. You can also sort the images randomly, or based on popularity or date. AccessPress Instagram Feed is another freemium WordPress plugin for Instagram. The free version alone can help you to display your Instagram post images in a stunning mosaic view. All you have to do is enter the details of your Instagram account, and you are good to go. The WordPress Instagram plugin comes with the option to display the Instagram images in normal mode, slider mode, or lightbox mode. Depending on your site’s design, you can take advantage of this and create a more visually appealing website. However, this WordPress Instagram plugin isn’t merely for design and aesthetics. In fact, there are plenty of advanced features you can take use to your advantage. For example, with shortcode and widget support, you get the freedom to place your Instagram feed practically anywhere on your website. And now for the last free plugin on our list of Instagram WordPress plugins, we have Feed Them Social. Now, this isn’t exclusively an Instagram plugin and has support for all the popular social media platforms – Instagram included. You have support for Facebook, Twitter, Pinterest, and Youtube apart from Instagram. The plugin provides share options to all these platforms along with shortcode support to fetch feeds from them. Other features include the option to like or follow a particular feed, as well as a load more button to allow the user to see more content. Now, this plugin also supports a freemium model. The above-mentioned features are all available with the free version but are somewhat limited. Instagram Feed is one of the best selling WordPress Instagram plugins for the purpose and brings a lot of options to the table. You get extensive customization control over how you wish to display all images on your website. First of all, you get the option to pick between a grid-based layout or a slider layout. Then there are different post templates to help you decide how the posts will be represented on your feed. Then there is the option to integrate infinite photo scrolling and call to action buttons. You can also fetch images based on usernames, hashtags, or locations. There are options to help you to limit the number of photos to display on the feed. You can also control the size of the gallery, customize how the gallery looks, and much more. Right here we have the premium version of the AccessPress Instagram Feed we talked about earlier in the free section. If you liked the functionalities that the free one offered, then here is what you will get with the pro version. 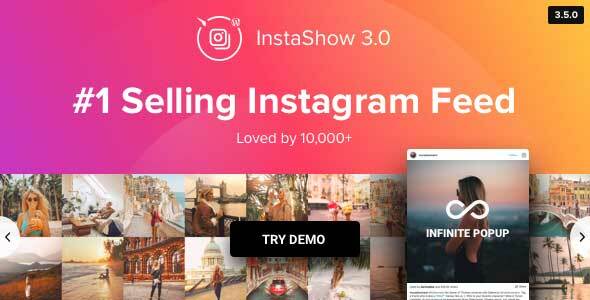 As with the free plugin, you get the complete liberty to showcase your Instagram feed in any location of your website. But now by going pro, you will get the option to customize how you wish to display the images. For example, you get to choose a specific number of rows and columns for the showcasing the images. Then there are options to display likes and comments counter. You can also tweak around with different account colors as well as hover text colors. 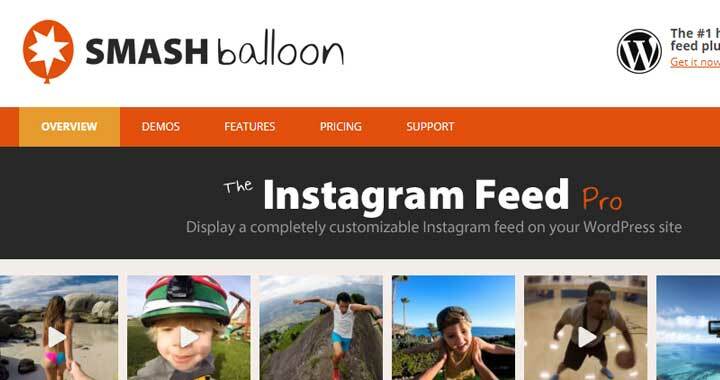 Instagram Feed Pro WordPress plugin by SmashBalloon will be perfect if you are looking for massive customization capabilities and features to control how you want your Instagram feed to function. First of all, you get the option to showcase multiple Instagram feeds into a single feed. Then on top of that, you get to control the layout, coloring, spacing, and plenty of other aspects. And if that’s not enough, you get the option to create a carousel for the images, option to open each photo within a lightbox, ability to create shoppable feeds with purchase links, option to integrate video, and so much more. As we mentioned, the Instagram API is very powerful as it grants developers with extensive control and insight over the platform. 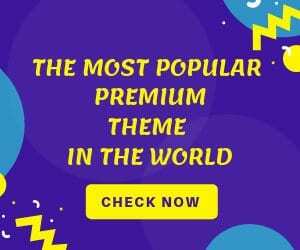 And if you wish to utilize all the functionalities that can be derived from the API, the Instagram Journal is the perfect WordPress plugin for the job. This WordPress Instagram plugin allows you to fetch images from multiple sources. Starting from photos that are yours, to that your friends, images associated with a particular hashtag, from a specific location, or even simply images that you have previously liked. And then comes with extensive customization options to help you showcase the images in a wonderful gallery. You will get over a hundred customization options, coupled with professionally design templates, and great color schemes. And for the final entry on our list of Instagram WordPress plugins, we have Instagram Feed WD Plugin from Web-Dorado. If you want the embrace the classic and simple means for highlighting Instagram images on your website, then you can’t go wrong with the plugin. However, don’t let its simplicity fool you. If you wish to work with more customization options then you have access to amazing looking layouts including a filmstrip layout. Functionality wise it will give you advanced filtering options, the ability for comment integration and so on. Any other WordPress Instagram Plugin? So these were our picks for the top 10 Instagram plugins for WordPress. We hope you found this read to be helpful. Also, if you are currently utilizing Instagram in your social media campaigns, then also let us in on how it is turning out for you. Fellow readers will love to get an idea from regarding the prospect of Instagram marketing.